﻿ Last chance to win! We've got a fantastic giveaway site with loads of prizes up for grabs and all free to enter. You've only got today to enter and have a chance of winning these great prizes. Don't worry if you're not a lucky winner, they'll be loads of new and exciting prizes up for grabs for the coming month. Don't forget to like us on Facebook and follow us on Twitter to see all our latest giveaways. We’ve got a set of these fully waterproof, over jacket and pants to give away. They are available in black or fluro and we have a pair in size 5XL up for grabs. 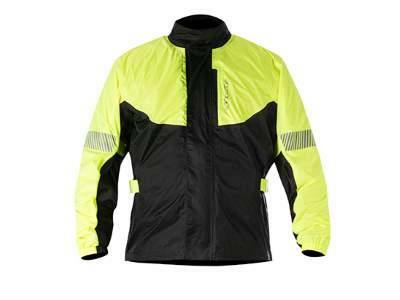 Made with extra reflective details they’ll be great for riding on these darker days. 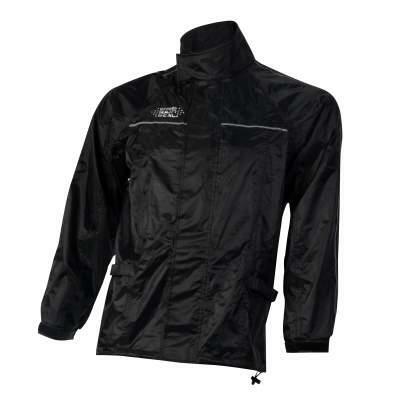 Made from 100% waterproof poly-nylon this two piece set of waterproofs will keep you completely dry. They’ve got taped seams, poly-mesh lining and reflective detailing so you stay dry and can be seen. Available in fluro yellow or black, in sizes S-3XL. 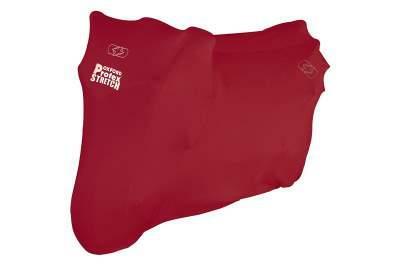 Made to fit all manner of bikes and scooters, this Oxford Protex stretch indoor bike cover has a soft lining to avoid damaging paintwork plus its breathable to reduce condensation. The elastic base has an adjustable belly strap to keep it secure. It comes in a variety of colours and sizes, we have a bright red one, in medium, up for grabs. 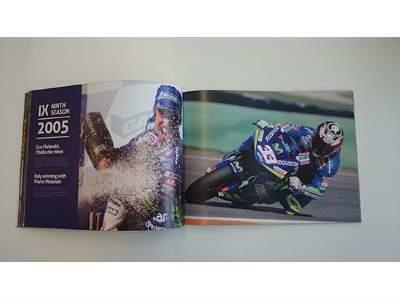 This 20th Annual Racing Book is a fantastic picture book documenting all the highs and lows for the Gresini Racing Team. With fantastic photos of all their races from Alex Barros debuting on the Honda NSR500 in 1997 through all twenty seasons. They’ve had greats such as Melandri, Gibernau, Nakano, Lowes racing for them plus the much missed talents Kato and Simoncelli. If you’re a GP racing fan this is definitely a must. MotoGP: Last chance saloon for title fight?